Roseno Aji Affandi or Aji as his nickname is currently an Associate Faculty Member of Internatonal Relations Department, Binus University. He received his bachelor degree from Management major at Islamic University of Indonesia, Yogyakarta, in 2000. 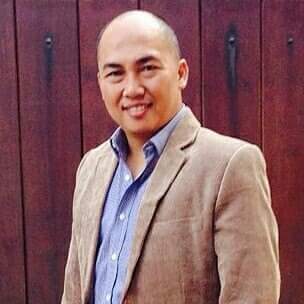 In 2002, he received master’s degree in Management from Gadjah Mada University, Yogyakarta. At the same time, he is the director and owner of Goldengrade Consulting, a business development specialist, and the creator and developer of the Revolution of Hopes (RoH) technique, a strategy to establish a company that excels in character to win the market. He has been consultant and trainer for several national and multinational clients, including the State Ministry of Co-operatives and Small/Medium Enterprises, Surakarta and Sukoharjo local government, and International Labour Organization. His mastery includes system value chain analysis (SVCA), balance score card (BSC) technique, business strategic and international marketing, and business modeling generation. Affandi, Roseno Aji. (2014). Revolution of Hopes. Reneasia.